thanks for your donations, everyone who called in during my first show! but we still have a loooooong way to go, so keep donating straight through october 4 (including my second show on october 1) by phoning 780-492-2577 ext. 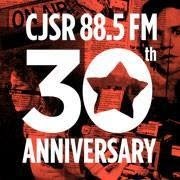 0 or visiting cjsr.com!